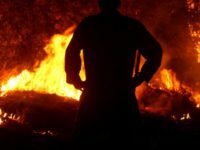 Mount Kenya On Fire: Fires in the South under control. A great deal of work has been done by the men taken there early this morning by Tropic Air, KWS and KFS choppers. 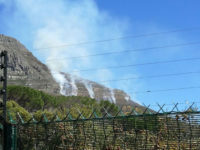 Police nabbed the suspected arsonist shortly after fire crews were deployed to douse four separate blazes on the slopes of Table Mountain on Tuesday. This article is about smear. 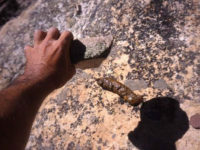 But be warned I’m not going to be talking about rock climbing. 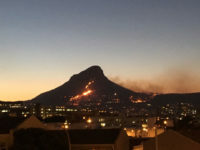 Firefighters are facing an uphill battle as a blaze spreads on Table Mountain, City of Cape Town Fire and Rescue Services said on Thursday. 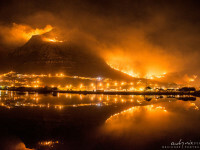 Thirty firefighters worked through Friday night and Saturday morning to put out a fire on Table Mountain. 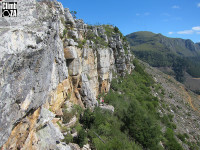 For climbers, the following crags (South of Boyes Drive) will re-open – The Silvermine Crags remain closed. 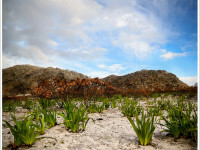 As part of the rehabilitation programme with the re-opening of this part of Silvermine envisaged by the end of December 2015. The Artvark Gallery proudly presents “re-m-ember 6900 hectares”, a group exhibition pertaining to the recent Cape Town fires. 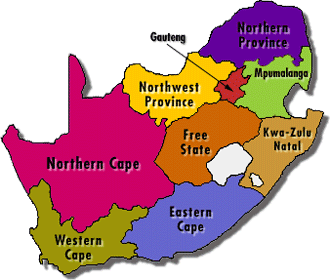 The City of Cape Town released the findings of its forensic investigation into the series of devastating wild Cape fires. 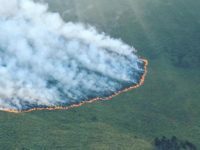 It is believed that some of the fires were started by people and in some cases deliberately.